The 22nd International Conference on Miniaturized Systems for Chemistry and Life Sciences (aka MicroTAS) was held last year in Kaohsiung, Taiwan. Welcoming more than 1000 participants, MicroTAS 2018 conference brought together several disciplines including microfluidics, microfabrication, nanotechnology, integration, materials& surfaces, analysis & synthesis, and detection technologies for life sciences & chemistry. Besides the exciting scientific program and great presentations, social/networking events (welcome reception, student mixer, women night out, and conference banquet) have made MicroTAS 2018 conference an unforgettable one. In this article, we would like to share some of the conference highlights with our Lab on a Chip blog readers. Did you know that artery bifurcations are prone to atherosclerosis? Blood flow profiles in vessels can help us to gain insights towards atherosclerosis. In this work, the authors fabricated a soft microdevice to study the effects of helical and chaotic flows on endothelial cells located in vein walls. 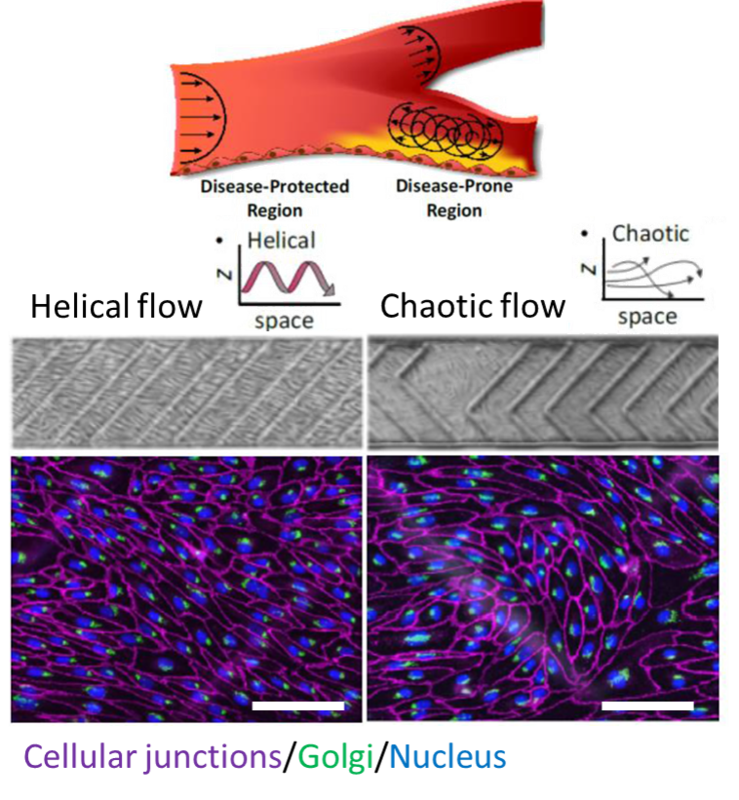 They hypothesized and demonstrated that a helical (uniform) flow profile results in endothelial cells aligning upstream to flow and gain atheroprotective properties, while the chaotic flow results in misalignment of cells that give rise to atherosclerosis. The figure shows the morphological adaptations of cells in response to distinct spatial flows, scale bars are 0.1 mm. 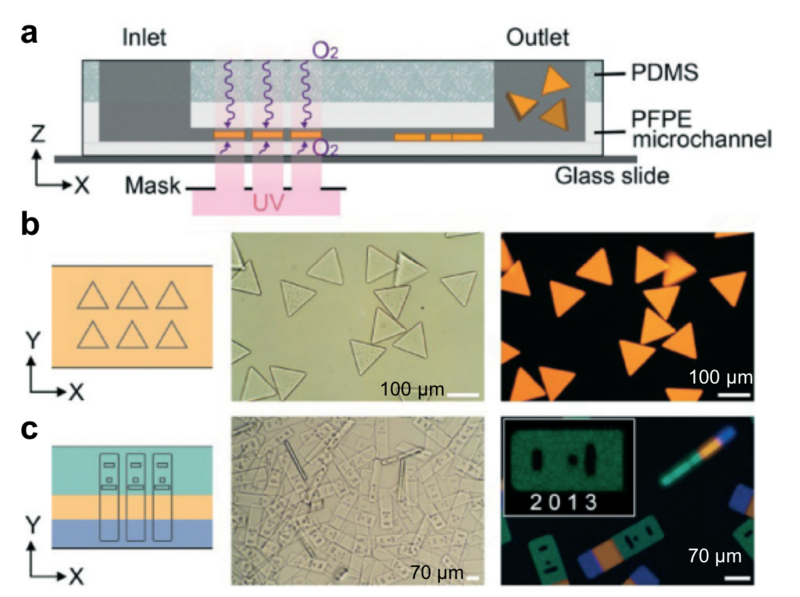 Microfluidic devices are mostly made from PDMS, although this material is not always well-suited for thermal, optical, mechanical and chemical changes. In this work, the authors present a new resin formulation to inspire the 3D printing of glass, which is more durable than PDMS. 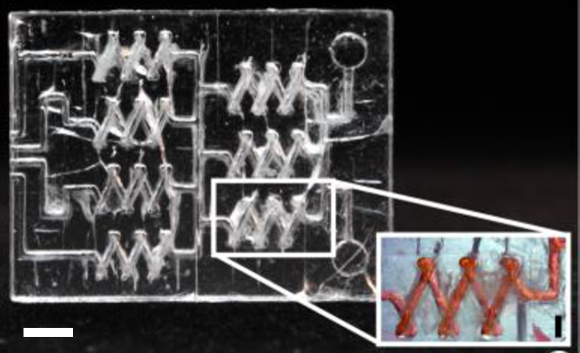 The resin was fabricated using stereolithography printer and this technique is useful for rapid prototyping of microfluidic devices made from glass for optical detection or chemical reaction applications. A 3D gradient generator is shown in this figure, scale bar is 2 mm. Modularization is undoubtedly on the rise in microfluidics and this work demonstrates an interesting approach. The authors focused on solving ‘limited compatibility with existing devices‘ problem. To achieve that, ring magnets were utilized to connect different parts of PDMS building blocks that were previously fabricated using micro molds. A modular platform assembled using this approach was shown to culture cells as a proof-of-concept study. The platform is expected to allow facile configuration of complex experimental set-ups involving multiple tissues. The image shows a modular device (left), and its parts (right) connected each other via magnets, scale bars are 1 cm. Surface hydrophobicity is an important feature when it comes to bio and chemical applications. In this work, magneto switchable micro-pillars were made from PDMS and carbonyl iron particles. The pillars erect under influence of a magnetic field, resulting in subsequent switching of the wettability and adhesion of the surface between the water-repellent and water-adhesive states. The surface becomes superhydrophobic (water-repellent) when the magnetic field is applied. The authors demonstrated droplet lifting and transportation on a surface using this approach. The image depicts the effect of an external magnetic field on the stiffness of micro-pillars. 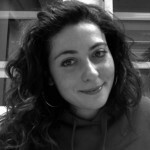 Burcu Gumuscu is a postdoctoral fellow in Herr Lab at UC Berkeley in the United States. Her research interests include the development of microfluidic devices for quantitative analysis of proteins from single-cells, next-generation sequencing, compartmentalized organ-on-chip studies, and desalination of water on the microscale. Microparticles were first described in 1967 by Peter Wolf, a physician, as ‘minute particulate materials’ when he investigated the platelet activity in human plasma. They were initially used as drug delivery agents because their size is as small as pollens, which can easily go into the human body. Not long after the great promise of microparticles has been realized, and today we use microparticles in numerous applications including pharmaceuticals, biomedicine, bioengineering, cosmetics, printing, and food science. The widespread use is not a coincidence, they can be synthesized from a multitude of materials, i.e. metal, polymer, gel etc. Especially, polymer microparticles, conferring a great versatility in size, shape, and chemistry, gained more attention in industry. Just like their usage areas, fabrication techniques of microparticles vary a lot. Polymer microparticle production is typically done in two ways, first microfluidics-assisted techniques including droplet-based fabrication, flow-lithography-based fabrication, and microjetting; second other techniques including centrifugation, electrohydrodynamics, and molding. 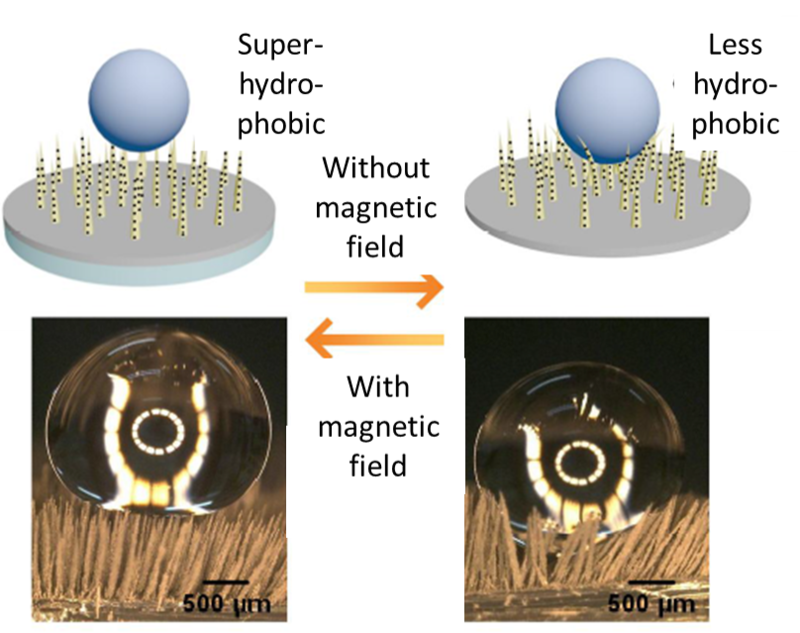 With a focus on microfluidics-assisted techniques, we bring a few remarkable and commercialized studies on high throughput production of spherical-shaped and irregular-shaped microparticles to your attention. Particle monodispersity has to be compromised for high-througput production when using coaxial microfluidic devices, and both features are highly desired in medical applications and industry. Luckily, as a droplet-based fabrication technique, high-throughput step emulsification of microparticles addresses this fundamental problem. David Weitz’s research group at Harvard University has recently reported a droplet generator microchip with 135 step-emulsifier nozzles that produce monodisperse emulsions of polymers at an exceptional throughput of 10K mL/h (Figure 1a).1 This means, monodisperse microparticle production with this device is thousands times higher than a typical droplet generator microchip with one droplet maker and a throughput of 10 mL/h. The chip is made of PDMS, which is a flexible and inexpensive material. Monodispersity at high flow rates is maintained using microchannels connected through an array of parallelized nozzles (Figure 1b). Microparticles are formed at the step between each nozzle and the continuous-phase channel. The formation can be explained by the Laplace pressure difference developing between the nozzle and the symmetric polymer bulb, resulting in suction of the dispersed phase into the bulb. The growing polymer bulb increases the pressure gradient and a neck forms between the nozzle and the bulb due to depletion of dispersed phase, resulting in release of a droplet. This geometry can produce spherical-shaped microparticles. The production efficiency scales linearly with droplet diameter (Figure 1c). Weitz demonstrated the production of oil microcapsules in water with the envision of standardizing the process by converting the emulsifier into a pipettor tip. Such a technology can replace the existing pipettor technology tools including multi-well and robots, and this replacement can serve for parallelizing and automation of the encapsulation chemi- and bio-assays. This technology has recently been introduced to the market by a Switzerland-based startup company called Microcaps. As an alternative concept, in-air microfluidics is based on the idea of producing droplets at higher flow rates without using microfluidic channels. In the research groups of Detlef Lohse and Marcel Karperien at University of Twente, microparticles were generated using two nozzles, and one of the nozzles is mounted on a vibrating piezoelectric element (Figure 1d). The breakup of the liquid jet ejected from the first nozzle leads to formation of monodisperse droplets, which hit onto a continuous liquid jet ejected from the second nozzle. After passing ‘the meeting point’, both liquids react with each other to form physically-encapsulated microparticles. This technique provides with hundreds to thousands times faster microparticle production when compared to coaxial microchip setups. Such constructs can be especially beneficial in tissue engineering, where rapid fabrication of multi-scale materials with multiple cell types is an ongoing challenge. This technology has recently been introduced to the market by a Dutch startup company called IamFluidics. Figure 1. Up-scaled step-emulsification device producing monodisperse droplets. (a) A schematic of the entire microfluidic chip actively producing oil-in-water droplets. (b) The emulsification process. (c) Maximum production rates per nozzle plotted against drop diameter, scale bars are 400 µm.The image is modified from Stolovicki et al. (see the references below). (d) Chip-based microfluidics comparison with in-air microfluidics. Another microfluidics-assisted fabrication concept is stop-flow lithography, introduced by Patrick Doyle’s research group at Massachusetts Institute of Technology.2 In this concept, while two (or more) streams of monomers flow side by side through a microchannel made of PFPE coated PDMS, the streams are exposed to intermittent illumination of ultraviolet light through a photomask, which blocks the light selectively. Due to the chemical reaction initiated by ultraviolet light, the liquid solidifies, and forms an individual microparticle (Figure 2a). Upon polymerization, gel particles do not stick to the PFPE microchannel walls, allowing for the production of free-floating particles by the virtue of oxygen lubrication layers. As the ultraviolet light is projected onto the stream through the photomask, each particle takes on the shape of the mask, making the microparticles customizable (Figure 2b). Microparticles composed of multiple monomers can be fabricated by combining multiple monomer streams. The single-step production is advantageous to reduce the production costs, however the particle shape is limited by the photomask and the microchannel geometry – not allowing for generation of spherical-shaped particles. For a proof-of-concept demonstration, upconverting nanocrystal laden-microparticles were synthesized and emitted homogenous visible spectrum of light. The technique allows for synthesis of striped microparticles without losing their homogeneous emission property. The microparticles were also encoded with multiple dot-patterns (Figure 2c), each specific to a target molecule (such as DNA) reacting with the other ingredients in the particle. Such a reaction leads to the formation of a fluorescent color in the microparticle, so the reaction can be traced by microscopy. This technology has been introduced to the market by Firefly Bioworks (acquired by Abcam in 2015), and Motif Micro (acquired by YPB Systems in 2018) startup companies. Figure 2. Stop Flow Lithography concept. (a) A schematic demonstration the coaxial microchip. (b) Bright-field and fluorescent images show triangle-shaped particles (c) A mask with an array of barcode particle shapes was aligned on three phase laminar flows in the microchip. Bright-field and fluorescent images show the barcoded particles with three distinct compartments with a region coding “2013”. The image is modified from Bong et al. (see the references below). Burcu Gumuscu is a postdoctoral fellow in Herr Lab at UC Berkeley in the United States. Her research interests include development of microfluidic devices for single-cell analysis, next generation sequencing, compartmentalized organ-on-chip studies, and desalination of water on the microscale. Lab on a Chip is introducing recommended authorship contributions in all its published articles from February 2018. Including a description of author contributions increases transparency of who contributed what to the article and ensures that each author is given the appropriate level of credit (and responsibility) for their contribution. Inclusion of author contributions is already common practice in many biomedical/life sciences journals. Authors are strongly encouraged to include with their submitted manuscript a section called “Author Contributions”, which will be published with the final article. Contributions should be explained concisely. Authors are strongly encouraged to use the CRediT taxonomy to describe those contributions (see terms below). Authors should have agreed to their individual contributions ahead of submission and should accurately reflect contributions to the work. Please note that for any manuscript with more than 10 co-authors, the corresponding author must provide the editor with a statement to specify the contribution of each author. CRediT (Contributor Role Taxonomy) is a taxonomy tool by CASRAI (Consortia Advancing Standards in Research Administration) and it was developed to increase transparency in contributions by researchers to scholarly publications. More information about CRediT can we found on the CASRAI website. Any questions regarding “Author Contributions” should be directed to the Lab on a Chip Editorial Office. We would like to inform our authors and readers that as a result of the recent change in the journal scope, the Editorial Board has decided that the journal will not accept Technical Innovations for submission from the 1st December 2016 onwards. All Technical Innovations currently under review for the journal will not be affected. Technical Innovations currently published in the journal cover new and innovative technologies of immediate value to the Lab-on-a-Chip, micro/nanofluidics or miniaturisation communities or offer novel technical insights to new and/or existing problems. The revised scope highlights that the journal aims to publish work at the interface between physical technological advancements and high impact applications that are of direct interest to a broad audience. The most important criterion used to assess manuscripts that are submitted to Lab on a Chip is novelty. Papers should demonstrate novelty in both: (i) the device physics, engineering, and materials; and (ii) applications in biology, chemistry, medicine. Submissions that describe novelty in both device and application are most likely to be published. Outstanding articles featuring novelty in either the device or the application may also be published and therefore articles with outstanding innovation in the device technology may still be submitted to the journal, either as Full Papers or Communications. For presubmission enquries, please contact the Editorial Office. Submit your latest research here. The Royal Society of Chemistry and the Publications Division of the American Chemical Society (ACS) today each became signatories to the ORCID Open Letter, reasserting the commitment of both organizations to enhancing the scholarly publishing experience for researchers worldwide who are involved in chemistry and allied fields. The commitment by these two global chemistry publishers to undertake new workflow integration with technology infrastructure provided by ORCID, a not-for-profit organization that provides unique identifiers for researchers and scholars, will enable both societies to provide unambiguous designation of author names within chemistry and across the broader sciences. This partnership with ORCID will resolve ambiguity in researcher identification caused by name changes, cultural differences in name presentation, and the inconsistent use of name abbreviations that is too often a source of confusion for those who must rely on the published scientific record. By becoming signatories to the ORCID Open Letter, these two major chemical societies are voicing their intent to collect ORCID iDs for all submitting authors through use of the ORCID API, and to display such identifiers in the articles published in their respective society journals. The integration of such activities within the publishers’ workflows means authors will benefit from automated linkages between their ORCID record and unique identifiers embedded within their published research articles, ensuring their contributions are appropriately recognized and credited. During the publishing process, ACS and the Royal Society of Chemistry will automatically deposit publications to Crossref, which in turn will coordinate with ORCID to link and update the publishing activity populated to authors’ respective ORCID profiles, thus attributing each published work to the correct researcher. Existing holders of an ORCID iD will encounter a one-time prompt to grant permission for the linkage. If authors do not have an ORCID iD, they can easily enroll without navigating away from the publishers’ manuscript submission site. If users wish to revoke integrated ORCID profile access at any time, they can elect to do so through their ACS, Royal Society of Chemistry or ORCID accounts. ACS Publications, a division of the American Chemical Society, is a nonprofit scholarly publisher of 50 peer-reviewed journals and a range of eBooks at the interface of chemistry and allied sciences, including physics and biology. ACS Publications journals are among the most-cited, most-trusted and most-read within the scientific literature. Respected for their editorial rigor, ACS journals offer high-quality service to authors and readers, including rapid time to publication, a range of channels for researchers to access ACS Publications’ award-winning web and mobile delivery platforms, and a comprehensive program of open access publishing options for authors and their funders. ACS Publications also publishes Chemical & Engineering News — the Society’s newsmagazine covering science and technology, business and industry, government and policy, education and employment aspects of the chemistry field. The Royal Society of Chemistry is the world’s leading chemistry community, advancing excellence in the chemical sciences. With over 50,000 members and a knowledge business that spans the globe, we are the U.K.’s professional body for chemical scientists; a not-for-profit organisation with 175 years of history and an international vision for the future. We promote, support and celebrate chemistry. We work to shape the future of the chemical sciences — for the benefit of science and humanity. ORCID’s vision is a world where all who participate in research, scholarship and innovation are uniquely identified and connected to their contributions across disciplines, borders and time. ORCID provides an identifier for individuals to use with their name as they engage in research, scholarship and innovation activities. It provides open tools that enable transparent and trustworthy connections between researchers, their contributions and affiliations. The organization provides this service to help people find information and to simplify reporting and analysis. ORCID is a not-for-profit organization, sustained by fees from member organizations. Its work is open, transparent and non-proprietary. The organization strives to be a trusted component of research infrastructure with the goal of providing clarity in the breadth of research contributions and the people who make them. Researchers in the US have developed a silver nanoparticle-based paper test to simultaneously detect dengue, yellow fever and Ebola. This could provide a cheap and reliable diagnosis for all three diseases, that’s as quick as a home pregnancy test. The Ebola epidemic in West Africa underscores an urgent need for rapid diagnostics; quick identification and patient isolation can benefit the sick and the healthy. However, dengue, yellow fever and Ebola all initially manifest as a fever and headache, so are easily mixed up. 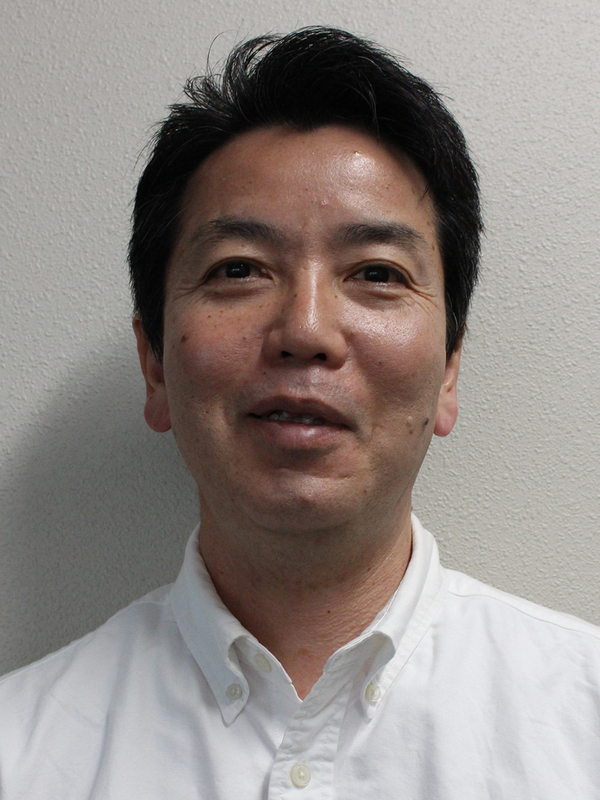 We are delighted to welcome Xudong (Sherman) Fan to the Lab on a Chip Editorial Board. Dr Fan is currently a Professor in the Department of Biomedical Engineering at the University of Michigan. Having completed his B.S and M.S at Peking University, Xudong moved to the USA to complete his PhD at the University of Oregon in the Oregon Center for Optics. From 2000 to 2004, Xudong worked at Research Corporate Lab at 3M Company. In 2004 he took up a position as an Assistant Professor at the University of Missouri where he became a member of Christopher S. Bond Life Sciences Center and the International Center for Nano/Micro Systems and Nanotechnology. In 2010 Xudong moved to the University of Michigan where he is currently a Professor of Biomedical Engineering, a member of Michigan Center for Integrative Research in Critical Care and Wireless Integrated Microsensing and Systems. Research in The Fan Lab focuses on the development of novel bio/chemical sensor platforms for analytes in either liquid or gas phase using optofluidic technology and multi-dimensional micro-gas chromatography technology. The groups most recent publication in Lab on a Chip ‘Optofluidic lasers with a single molecular layer of gain’ was added to our Lab on a Chip 2014 HOT Articles collection as it received particularly high scores during peer review. Last year Xudong received a Departmental Award for Outstanding Accomplishment and become a fellow of Optical Society of America. Congratulations Xudong!